With his latest film coming out, Rock the Kasbah, sees Bill Murray play the manager of rock star Zooey Deschanel as they both travel to Afghanistan for a gig. The film follows Murray as he loses his star in the middle of Afghanistan. Murray then finds another singer he sees potential in, and attempts to get her to Kabul in order to sing in a competition. In celebration of the great funny man, we take a look back at his incredible career so far, spanning five decades and over 60 feature length films, not to mention a four year run on Saturday Night Live. 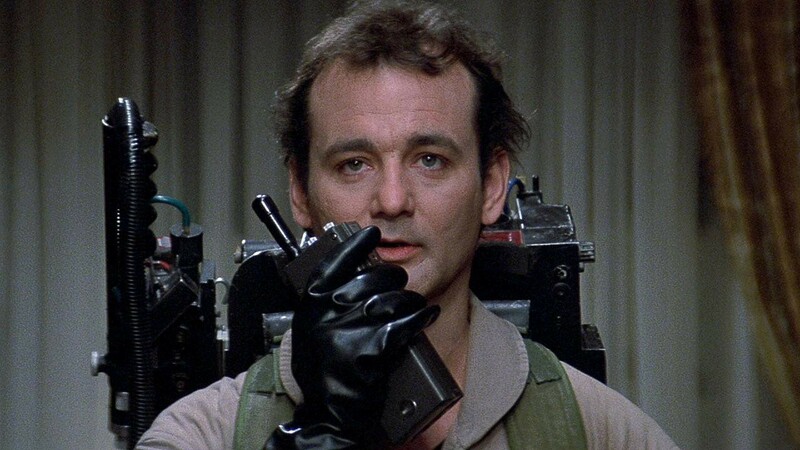 William James Murray was born in Wilmette, Illinois in 1950 to Lucille Collins and Edward Joseph Murray II. Bill got his first shot at acting in a short film back in 1973 in The Hat Act, playing a bookstore owner, but it only took two years for Murray to receive his big break on comedy sketch show Saturday Night live, along with soon to be collaborator Dan Akroyd. His first major feature film was 1979’s Meatballs, where he played Tripper, a film about counsellors and campers at a summer camp. Over the next three years, Murray starred in multiple comedies, including the two cult classics Caddyshack and Stripes. There are plenty of both exciting and mundane real-life locations that have gained fame and interest after being featured in a popular movie, but one place seems to not be notability enough in the eyes of governmental authorities, after the Los Angeles city council fenced off an iconic real-life prop of recent times on account of ‘budget cutbacks’. The bizarre decision, which has not been elaborated on much further than ‘state cutbacks’ (with the ‘Community Development Agency’ being unable to ‘maintain’ the item in question), affects the bench used in 2009 romantic comedy (500) Days of Summer, in a location known as ‘Angel’s Knoll’, a key spot in the movie which male lead character ‘Tom’ (Joseph Gordon-Levitt) described as ‘his favourite place’. Arranging their latest content deal, Netflix have revealed the latest show to be getting the archived streaming treatment via their service will be Fox’s Zooey Deschanel-led sitcom New Girl. 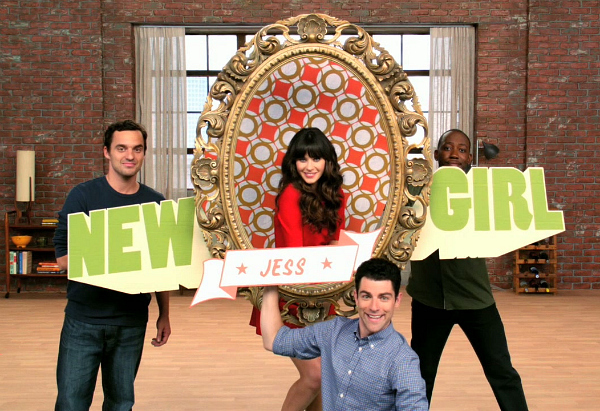 Following an ‘exclusive multi-year’ arrangement with production company Twentieth Century Fox Television (a part of News Corp. entertainment spin-off 21st Century Fox), the single-show contract sees New Girl available to all American subscribers, although it will be limited to showing episodes only after the ‘regular broadcast run’ of its complete season is over. 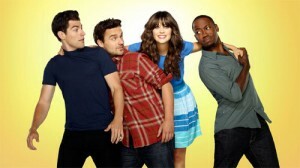 The ‘ensemble roommate comedy’, which co-stars Jake Johnson, Max Greenfield, and Lamorne Morris, will make its 24-episode first season available immediately to Netflix users, although considering that the 25-episode second run was completed in May, it is unclear how long it will be before the new batch arrives online having not been included in the announcement. Although terms of the deal weren’t revealed, Netflix could have paid an above-average sum for the series and still have it considered a wise move, with the ratings of New Girl having performed solidly with an average if unspectacular audience of 5.83m (and the 77th-best show on network television in this regard), but will most likely attract plenty of attention from viewers during its third season (which premieres on Tuesday 17 September on Fox), due to being chosen for the coveted ‘lead-out show’ spot following the network’s coverage of the Super Bowl on Sunday 2 February 2014. In the high-pressure world of TV, it is always important for networks to maintain their best assets before the competition can get a look-in, and having the mid-to-long term security of many animated series secured, Fox have snapped up new seasons of several of their live-action formats ahead of time. 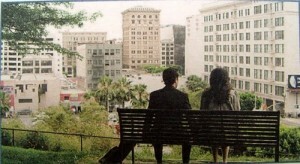 Leading the slate of four shows confirmed for a return on the network are Zooey Deschanel-led ‘highest-rated comedy’ New Girl (pictured) and Kevin Bacon drama The Following, while Raising Hope and The Mindy Project have also been given ‘early renewals’ to seal their presence on Fox for next year. The announcements follow on from confirmation of crime dramedy Bones coming back for a ninth season, and ‘ongoing negotiations’ to bring musical drama Glee in for a season five. For the more recent confirmations, though, it is known that The Following, which began in January, will be most likely to return to screens at the same point in 2014 for a 15-episode midseason run, according to Bacon’s contract. Fans of New Girl, meanwhile, will be able to see a third season of the ‘bubbly and offbeat’ Jess (Deschanel) and her life in an apartment with three men, presumably set to begin in September as with previous runs.